If you’re planning a trip to Chicago in 2019, you’ll want a cheat sheet with the top places to go for culture, adventure, and interactive experiences that you don’t want to miss in 2019. And there’s no shortage of fun things to do in this miraculous city, as Chicago is known for its rich arts and science scene, as well as fantastic dining opportunities. If you’re stuck wondering which hotspots should take priority, here’s a guide to the can’t-miss moments for new experiences in 2019 in Chicago. You can purchase tickets in advance online, and there’s an option to reserve group tickets, as well. Love space? Did you want to be an astronaut when growing up? Well then the exhibits at Adler Planetarium will turn those dreams into a reality, at least for a few hours. The new sky exhibit at the Adler Planetarium sparks imagination and creativity as it discusses the human interaction with the Moon and all its beauty and wonder. If you’ve ever glanced up at the moon on a dark evening and wondered about its different shapes and colors or what walking upon it might be like, this exhibit will take you on a wild ride and answer those questions for you. 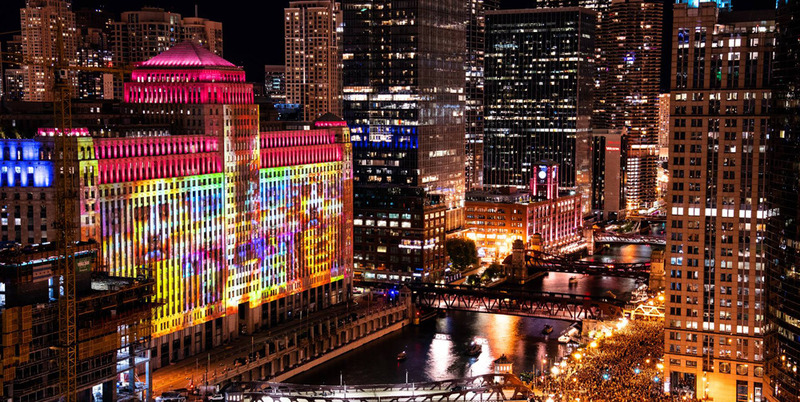 On the south façade of the Merchandise Mart right along the Riverwalk, there will be a new “Art on theMart” program to feature public art-video displays, which will last as a permanent exhibit for at least 30 years with the city. (There is a signed contact.) Yet first glance will be this spring in March! You’ll be able to take in the sights from Upper Wacker Drive and along the Riverwalk. Opening March 21 at The Museum of Science and Industry, this new exhibit will look at how fashion and technology have fused together to create extraordinary and innovative pieces that are on trend and functional works of art. An example? You might find running jackets with pockets to keep earbuds secure to make your run more efficient and enjoyable.